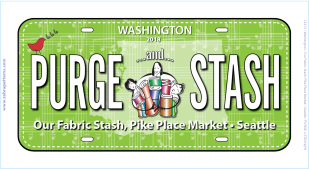 As a first year participant in the Row By Row (RxR) Experience, we’re excited to present our 2018 Sew Musical theme block and our four license fabric plates. The FabricPlatesTM are unique novelty printed panels that you can add to any project. They are 100% cotton, washable and for best results sew with a fine needle. We’ve come up with vanity sayings that relate to the 2018 RxR Sew Musical theme and our shop’s unique business concept. 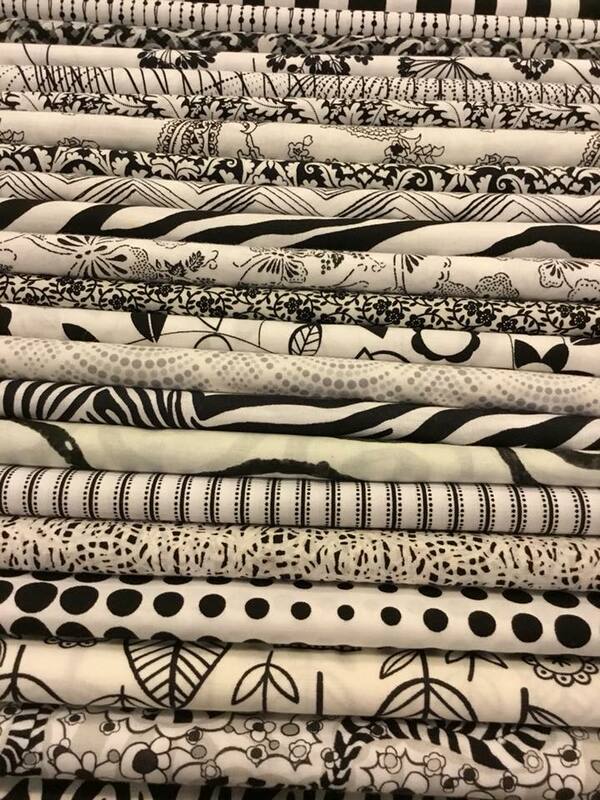 Add the fabric plates to quilts, totes, jackets and more! 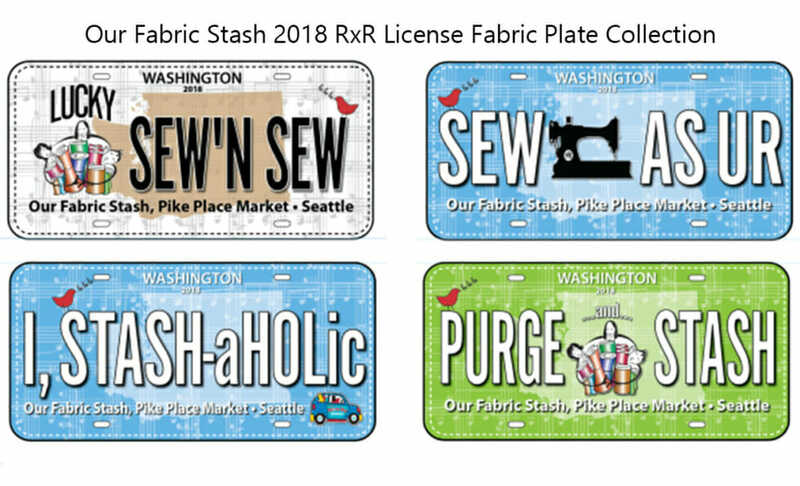 Collect them all – the RxR License Plate Collection and support a locally owned business, Our Fabric Stash, for yourself -or- the Sewist / Crafter in your life. RxR kicks off June 21 through October 31 and the “All That Seattle Jazz” kits will be available for sale at that time (in-store only and online afterwards starting November 1). 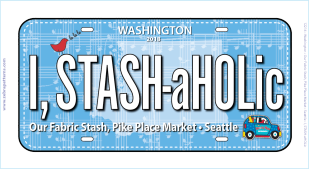 However, the fabric license plates are available for sale now.